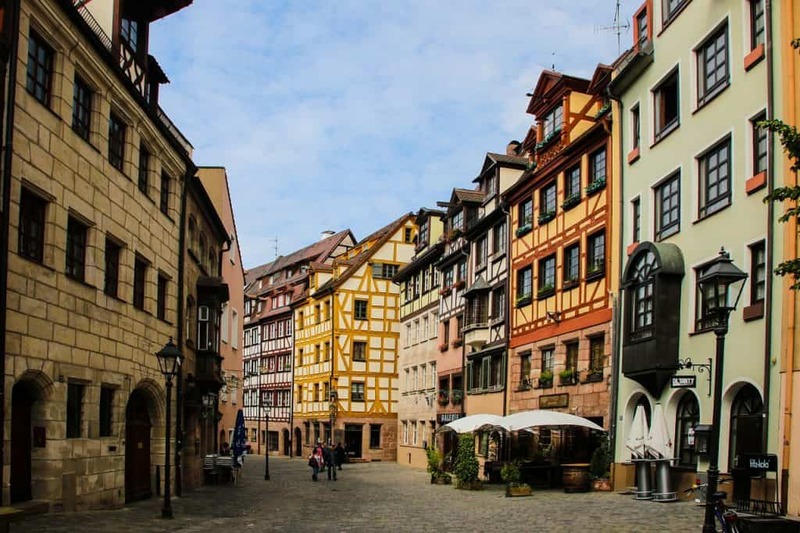 Nuremberg is perhaps best known for its storybook looks and it’s history. 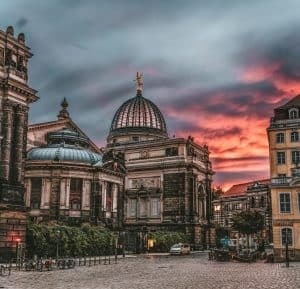 The city’s history stretches back centuries from being the Imperial Free City and a ruling seat of the Holy Roman Empire, to its time as the site of the Nazi Rally Grounds during the Third Reich and the site of the war crimes tribunals after WWII. 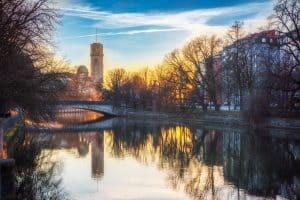 While looking at pictures of its storybook visage, it’s easy to think Nuremberg might be a small town but it’s actually the second largest city in Bavaria after Munich. And it’s packed with all the variety you might expect of a large city. 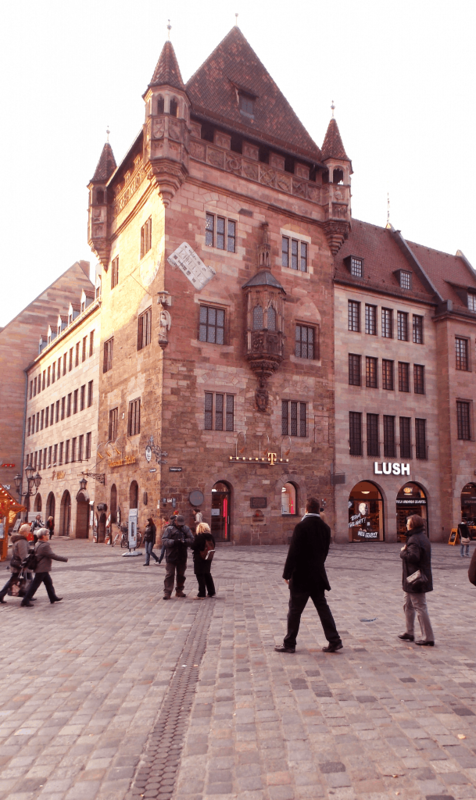 Many of the sites you’ll want to see in Nuremberg are walkable once you get to the center of town known as “Old Town”. Those that aren’t are an easy tram ride away. The Nazi party relied heavily on propaganda to form and spread its message throughout Germany. With the help of propaganda minister Joseph Goebbels and architect Albrecht Speer, Hitler used the larger than life architecture at the Rally Grounds, and the vision of thousands of soldiers marching in lock step to bring to life on the silver screen his vision for the future of Germany. After debating for years what to do with the Rally Grounds, whether they should be destroyed, returned to functional use or preserved as a museum, the city decided to keep the grounds as an interpretive site to education locals and visitors alike on the darkest chapter of German history. Architects modified the building, using a technique now common in museums that are sites of difficult heritage where old architecture is merged with new often disjointed techniques to create a sense of past-meets-present. Glass cages rise up in the center of the museum and narrow high walkways make visitors feel as though they are teetering on the edge. The result, as intended, is often harrowing and disconcerting embodying visitors with a fraction of the experience those oppressed by the Nazi regime would have felt. Visitors can learn more about the rise of the Nazi party, the role of the Rally Grounds, and the history behind Albrecht Speer and the architectural plans that were laid out as part of Hitler’s plan. It’s well worth the visit, whether you’re a history buff or not. The Rally Grounds and Documentation Center are outside the center of town and will require a short tram ride to get to. At the end of WWII, members of the Nazi party were put on trial at an international military tribunal in Courtroom 600 of the Nuremberg courthouse. The trials would set a precedent for war crimes, and would set the tone for how Germany and the world would deal with the legacy of Nazism. The courtroom is still in use today, but can be visited on the weekends through guided tours. As it became more obvious that Germany was losing the war and bombings of the cities became more frequent, there was a mass effort to move precious art and artifacts to safer places throughout Germany. Art, statues, and jewels were hurried pulled from churches, museums and castles to be stored in underground vaults, bunkers and caves where they could shelter from the impact and fire associated with the large scale bombings. Nuremberg was no exception, and the Kunstbunker, or art bunker, was one of the places such objects were stored. Visitors can travel underground to see the tunnels and vaults that held the works of art, see pictures of what the bunker looked like during the war, and even see debris left behind. Much of the original infrastructure is still in place, and gives visitors a brief glimpse into this particular moment in history. 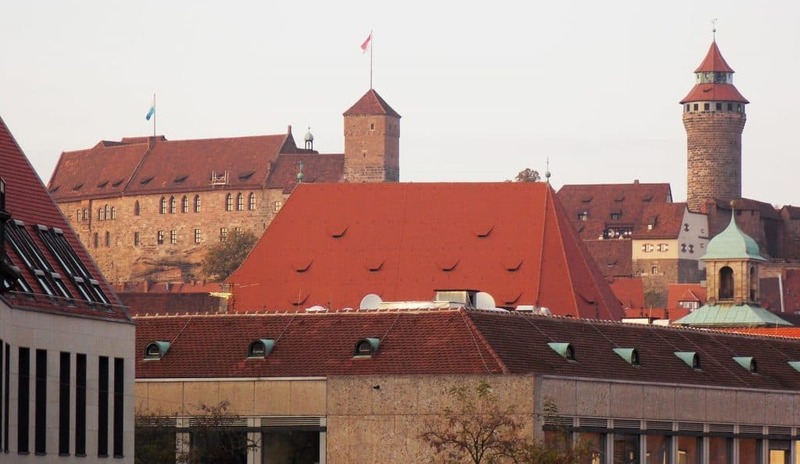 Dominating Nuremberg’s skyline is one of it’s most famous landmarks, the Imperial Castle of Nuremberg. During the Holy Roman Empire, emperors had no central castle that they ruled from and instead moved from castle to castle as it was required. The Imperial Castle of Nuremberg was one such castle. It was an important one as Nuremberg was a crossroads of trade and exchange during the middle ages, and served as the site of the Imperial Diet. The castle was built over hundreds of years under the influence of different rulers and architectural design. The first fortifications were erected during the 11th century and continued to be built upon into the 19th century and rebuilt in the 20th century, after severe damage during WWII. After the Thirty Years War the castle fell into disuse when the Imperial Diet was moved to Regensburg. Once of the most photographed locations in Nuremberg, the site was a municipal hospital for the sick built by the richest citizens of Nuremberg as a means of getting in good with God.It was built in the 14th century, and used primarily during the 14th and 15th centuries. The photographic opportunity here is beautiful as the building leans out in all its medieval beauty over the river. A mixup of a number of architectural styles the Nurnburger Rathaus serves as city hall for Nuremberg. Visitors can peak into some of the hallways and get some beautiful photos of the building’s imposing architecture. Located beneath city hall, these 14th century dungeons held prisoners, many of whom were tortured. It’s one of the largest city medieval dungeons in the world still preserved, and the site gives visitors a glimpse into how justice (or lack thereof) was meted out during the time period. Visitors can only tour the dungeon as part of a guided tour, and be aware that tours are in German with a supplied English pamphlet. Across the square from St. Lorenz Church is Nassauer Haus, the last remaining residential tower in Nuremberg from the Middle Ages. The tower has featured prominently in paintings and postcards of the city, and was carefully reconstructed after being damaged heavily during bombings in World War II. The face of the German Renaissance, Albrecht Dürer was born in the city of Nuremberg in 1471 when it was still part of the Holy Roman Empire. A prodigy, Dürer had already made a name for himself across Europe by the time he was in his 20s. Famous for woodcuts, engravings, printmaking and paintings, he was influential in the Northern Renaissance movement. Built in the early 15th century, Dürer occupied the home from 1509 to his death in 1528. It was established as a museum in the late 19th century. Much of the home was destroyed in WWII and rebuilt in the 1950s and 60s. The home was reopened as a museum in 1971. 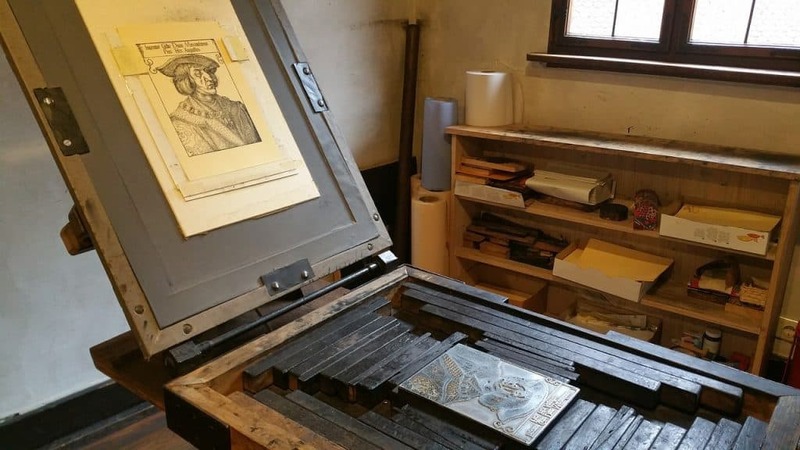 The house contains rotating exhibitions of Dürer’s work and information on his life. It’s furnished to the period, giving visitors a sense of what the home might have been like when the artist lived there. In addition to a salary, the executioner of Nuremberg also received lodging while serving in the position. Henker Haus was the home to the executioner during the 16th century. Franz Schmidt, one of the city executioners kept detailed notes about his time and his accounts make up a significant portion of the exhibits inside the house. The house itself is small and has intermittent hours, particularly in the winter and as of writing the exhibits were only in German. 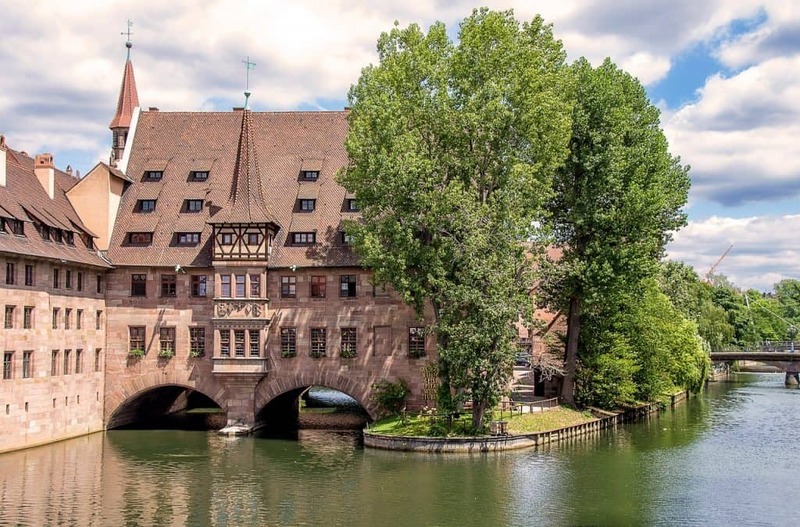 Despite the gruesome history, the house and bridge are one of the most iconic and picturesque scenes in Nuremberg. Tucked inside of the old city, is the handcrafter’s village. Making you feel like you’ve stepped back in time the shops here include all manner of handworked crafts from glass blowing to wood carving to cobbling. You can pick up souvenirs to take home or just take a few pictures. 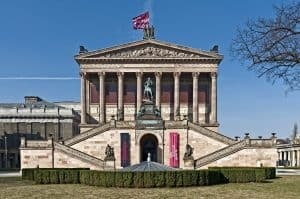 The Germanisches Nationalmuseum is the largest museum of cultural history in Germany and carries collections from around the country. The collections feature art and material culture from prehistory through modern day, and highlights include Cranach’s “Martin Luther” and “An Ill-matched Pair” as well as the oldest extant globe and several paintings by Rembrandt. Expect to spend several hours touring the exhibits here as the museum is massive. The Nuremberg Toy Museum takes visitors through the history of toy museums from the beginning of history through to the modern day, tracing toys from their inception as wooden carvings all the way through to toy trains, Barbies and Legos. There are hands-on activities for kids in the museum in addition to the exhibits. The DB Museum traces the history of the Deutsche Bahn and the railroad in Germany from the 19th century onward. The collection includes full-size rail cars as well as miniature and toy versions of trains. One of the highlights of the collection is builder of the famous Neuschwanstein Castle, King Ludwig II’s royal train car. The Fembo Haus City Museum is the municipal house museum of a Renaissance merchant. The home features preserved furnishings and takes you on a journey through Nuremberg’s history, focusing on the highlights of its economy and important role in the Holy Roman Empire. It’s hard to miss St. Lorenz, the massive medieval church in the center of town. 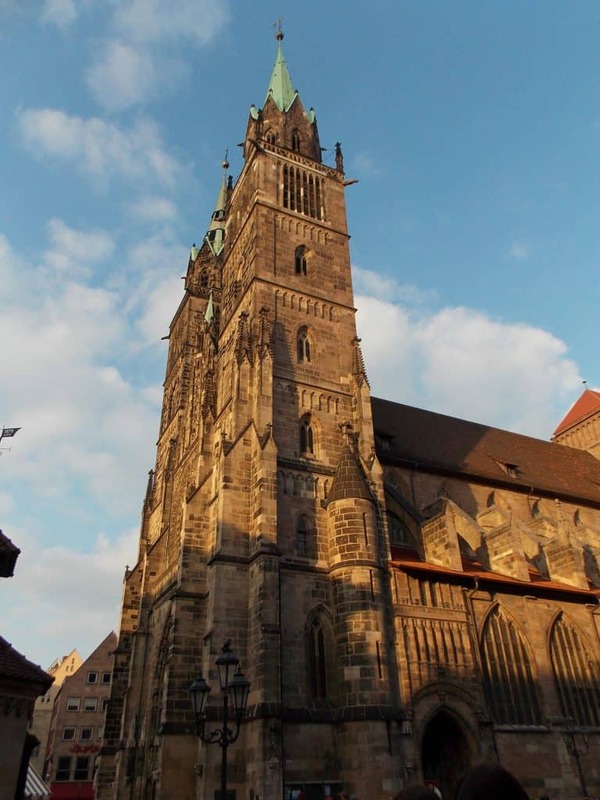 Built when Nuremberg was the Imperial Free City of Nuremberg, the church has a long history in the city. Originally built in 1400 in Gothic style, the church became a Lutheran church after the Reformation in 1525. Named after St. Sebaldus, the Lutheran church is one of the most prominent in the city. It was originally built in 1225. Originally created in a Romanesque style, the church has seen Gothic and Baroque additions over the years. The relics of Sebaldus, the patron saint of Nuremberg, are venerated in a shrine inside the church. Created at the behest of Charles IV, the Holy Roman Emperor in 1352, the Catholic church was initially finished in 1362. However, numerous artworks and modifications were added to the church over time including the altar. The church was originally designed to hold ceremonies for the empire as evidenced by the balcony on the front of the church. But since the end of WWII, the balcony has been used to open Nuremberg’s famous Christkindlmarkt. Originally designed to be a chapel during the 13th century, the church became the only Catholic church in the Protestant city of Nuremberg for a period of time after the Reformation. The rounded green roof gives the chapel a distinctive look. The chapel is dedicated to Elizabeth of Hungary, a saint who died after using her dowry to create a hospital for the sick. Routes to Roam is a participant in the Amazon Services LLC Associates Program, an affiliate advertising program designed to provide a means for us to earn fees by linking to Amazon.com and affiliated sites.